The "Booker T. Washington" of Jamaica. Manchester gave him birth 50 years ago next October, though his father was a native of St James and his mother of Trelawny. Born in Manchester 51 years ago. Father native of St. James; Mother, native of Trelawny. the parish of Trelawny, Jamaica. Young Walcott like many another Jamaica youth who has risen gloried in hard work from early in life, and very soon the spirit of enterprise and the desire to succeed manifested itself. It was not always his teachers that rendered his early training of such marked importance. Some of these men were as a fact poorly equipped educationally. But it was in the boy to rise, and he did so despite disadvantages. His progress was rapid and he was soon at the top of his class and primus of his school. One of these teachers was Mr. Peter Allen of Whitby in Manchester, who Mr. Walcott says seems to have been one of the best of his day, and of whom he cherishes grateful memories. On the removal of this gentleman from the school, young Walcott's parents placed him under Mr. J. Scholefield, an Englishman, who then held the position of Catechist and schoolmaster of the St. Andrew's station, Albert Town, Trelawny. Mr. Scholefield was succeeded by Mr. C. C. Douce now Anglican Minister [Black priest, ordained March 1881] at Highgate, who recognizing his pupil's intelligence and aptitude for teaching directed his energies towards preparing him for the teaching profession. Mr. Walcott entered the Government Training College then at Stoney Hill, as a student in January, 1875. His College contemporaries were Hugh John McKay, G. A. Ashby, late Wesleyan Minister, Herbert F. Miller, Geo. Swaby, Samuel Matthias Johnson. The Rev. Ed. Pierce was Superintendent and H. M. Cox Esq., Tutor. On the removal of the Training College to Spanish Town in the Summer of July, 1876 Mr. Walcott was brought under the influence of the late Bishop C. F. Douet M. A. and of T. P. Cox Esq. Superintendent and Tutor respectively of the College. Here also he gained the favour of his teachers. Confidence in his ability as a teacher, and in his general good conduct was shown in his frequent employment while still a student to fill the place of the Headmaster of the Model School whenever that official was ill, or absent from duty. His first appointment after a successful three years' course was to the headmastership of Meylersfield Trust School, Westmoreland, under the management of C. P. Bovell Esq., Attorney for Paradise Pen. This was in February 1878. Here he had quite uphill work. The School house and Teacher's residence were erected in a locality unfavourable to the maintenance of good health, owing to the presence of lagoons and marshes. The School was but newly erected, and none but the children of the peasantry of the Estates, and those of East Indian immigrants could at this early stage attend. The Highest Standard was only the Third Book. Second standard was unrepresented. The remaining children are placed in Junior or First Standard. Still, in July in the same year School made 30 marks at the Government Inspection, and 46 marks second class in April of the following year. The Rev. P. Williams of Bethel Town was the examiner. 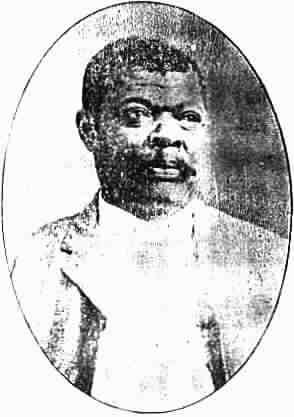 The young teacher left to fill the post of Assistant Master, Government Training College, Spanish Town, to which he was appointed in September 1879. Some students at this time were S. A. Bowen, (Portland), W. H. Plant, (Titchfield), R. A. DaCosta, (Bermuda), A. I. Hopwood, (late Headmaster Hope Industrial School), J. N. Swaby, (Rector St. Andrew's, Albert Town), Archdeacon Swaby (Bocas del Toro). In 1881 Mr. Walcott was appointed to the Mission Station, St. James, Gibraltar, St. Ann. In addition to his duties as Catechist, he conducted the Day School, and gave occasional help at St. Thomas' Church, Stewart Town. The Mission that was dwindling received fresh vigour and the school, a struggling third class of 30 marks, advanced to 52 marks in a single year. 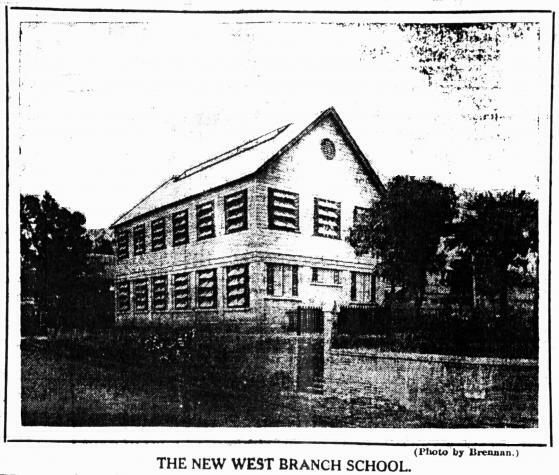 Every thing gave promise of a successful future when Archbishop Nuttall directed that a change should be made to West Branch School, Kingston. There he has been ever since August 1882. Any one passing down West Street, twenty years ago, would hardly notice the little mission school on his left and the ugly looking little square building which stood facing the gate some distance in the teacher's house. The clamour of quarrelling men and women, the noise of rude urchins, the dirtiness of the street, a dead fowl here, and a dead dog there, and the dinginess of the houses formed, rather, the object of sober thought for your would-be moralist who little thought that the little school was destined to be the means of changing the whole neighbourhood. Were he to visit now the former scene of his musings he would find a fine church consecrated to All the Saints, with a fine organ, a good congregation, and a regular officiating priest. In the place of one school he would find three departments each bigger than its parent, and instead of one certificated teacher, several who have their parchment. At first his complaint might have been that there was too much room, now it is that there is too little. The little insignificant West Branch school of twenty years ago has become, if not the foremost, one of the foremost schools in the Island. After teaching at Myersfield in Westmoreland and subsequently in St. Ann, he [A. L. Walcott] took charge of West Branch School, Kingston, in July,1882, then a low third class school with a very poor attendance -- a school that one with less faith in his powers would have shrunk from. This school within two years gained first class marks and has since going up, up, up, and now has over 70 marks. It must be remarked that these marks are not mentioned as a measure of Mr. Walcott's work. To see that work one must visit West Branch School for himself, must see hundreds of boys and girls busy at work, must observe the effects of the teaching on the children's conduct and character, and must follow them as they go forth to fight the battle of life. FROM 34 TO 500 -- But West Branch of those days was a poor third class school of 30 marks and 34 children in average attendance. Today it stands at 77 marks, with between 600 and 700 pupils on books and an average of over 500. the original buildings in which the school was formerly kept, have become too small for the attendance, additional accommodations have had to be provided, which are even now to limited for the number of pupils that seek instruction at this centre. The number of those trained at West Branch go up into the thousands including pupils from Panama, Port Limon, Central America; even now many of the pupils in school come from outside the City of Kingston. His old pupils have given recruits to nearly every profession. These men and women are ever loud in the praises of their old teacher. Among teachers trained by Mr. Walcott, are Mr S. M. Gordon of Mandeville, Mr G. L. Harry, P. Munroe, an[d] J. T. Munroe, General Secretary J. U. T.
Mr. Walcott believes in the education of our girls as he is anything but oblivious to the uplifting influences of womanhood. Among the most successful trained by him may be noted Miss L. E. Black (now Mrs Walcott) Miss L. M. Ludford, Nurse, Mrs L. Payne, Port Antonio, the late Miss Tucker, Miss A. Chaves (now Mrs B. C. Lumsden) Miss E. Delgado (now Mrs W. Lumsden) Miss M. Green (now Mrs J. A. S. Linton.) The three last have married ministers of the gospel. To our Island Civil Service he has given Messrs M. Aarons Court's offices, Kingston; E. Wilson, Surveyor General's office; J. A. Lawrence, Courts' office, Port Maria; G. A. Smith, late of Registrar General's office, Spanish Town H. A. Morle (deacons.) Other Pupils have been successful not only in winning scholarships for secondary schools, but in passing the Cambridge Local examinations. A late winner of the Jamaica scholarships, Master Valentine, now residing in Edinburgh won a scholarship at Wolmer's from West Branch school. It is unnecessary and impossible in a brief sketch to name the different positions held by him at home and abroad. It is sufficient to say that the record of the school has not been approached by any other elementary institution in the lifetime of Mr. Walcott, qualifying as he did numerous pupils to pass classical examinations from an elementary institution. Mr. Walcott has been identified with the JAMAICA UNION OF TEACHERS from its inception. One of the founders of that useful organisation, his brethren mark the recognition of his ability and wisdom by returning him on the Union's Executive year after year. He has also served the Union as President, while Sir Henry Blake, as Governor of this Colony, showed the appreciation for his worth by appointing him on the Board of Education -- the first elementary school teacher to serve as a member on that Board. He has been one of the founders and first [not confirmed] president of the "Jamaica Union of Teachers," the largest and best organized body of educated coloured men in the world. page 54: Walcott listed as President in 1900; previous Presidents listed Col L.G.Gruchy in 1895-7, and 1899; T. B. Stephenson in 1898. He was the first schoolmaster appointed on the Board of Education of Jamaica. He has read very widely for the work of the Christian Ministry, but although he has passed creditable examinations as a Catechist he has not so far yielded to the expressed desire of his parents and friends to submit himself for ordination. Rather he has preferred to remain in the schoolroom, and among the youthful minds, believing that this work offers just as wide a scope for usefulness as that of the ministry. As a Catechist he has worked hard and well. The prosperity of West Branch Mission station is largely due to his efforts. From a small Mission Station "All Saints" has grown. And this is the outcome of the effort of a man who contents himself in doing quietly and unostentatiously that which his hands find to do. Due to his recognized competence he has been exempted by His Grace from the annual examination of catechists over which he has had the honour of presiding several times. He has been the founder of All Saints' Church which, together with his school of over seven hundred children in daily attendance, form the bulwark of spiritual and educational work in western Kingston. Mr. A. L. Walcott, the genial and able head master of West Branch school in Kingston has long been regarded as one of the island's foremost elementary schoolteachers, just as West Branch under him has been one of our foremost schools. Mr. Walcott possesses very agreeable manners. He has a smile for all and his politeness is most marked. He loves his country, and he loves the profession in which he has succeeded so well. It is remarkable to note how fresh his ideas are. He keeps abreast of the times, and moved forward with the changing march of our educational requirements. But his most endearing feature is his modesty. He does not crave the applause of men. A.L. Walcott who has often been called the Booker T. Washington of Jamaica, will speak at the schoolroom of the Baptist Mission as the guest of the Rev. R. H. Thorbourne, this evening beginning at 6 p.m. sharp. He will be glad to meet all his former scholars, members of All Saints' Church and various other persons interested in educational subjects. It can, with truth, be said that Mr. Walcott was one of the ablest teachers which the colleges for the training of elementary schoolmasters in Jamaica have ever turned out. He received his training at the old Government Training College in Spanish Town, an institution over which the late Bishop Douet presided, when he was an Archdeacon. Mr. Walcott acted as one of the masters of the College. Indeed Mr. Walcott was born teacher, a man who was never so happy as when engaged in the work of instructing a pupil who showed signs of being the possessor of an active intellect. Then Mr. Walcott would spare no pains in guiding such a pupil along the path of knowledge, and would scorn delights and live laborious days in carrying out his unselfish task. Money would be no object in his tuition. He taught because he found pleasure in teaching, and his style was natural and devoid of the repellent tracts [traits?] which are commonly associated with the pedagogue. If Mr. Walcott had a fault, it was that so earnest was he in bringing forth the mental qualities of his pupils that he was inclined to forget the cultivation of their bodily powers. And he commonly taught the pupils far beyond the time set down on his schedule for the closing of school. When Mr. Walcott took charge of the West Branch School, it was a third class school of 28 marks. He raised its standard until he placed it in the front rank of the elementary schools of Jamaica, and made it so popular that it now has on its books more pupils than any other school in the island. He made the name West Branch a household word, and to-day men and women are to be found in all parts the world and in every profession who have been taught by him. He had to do with the education of winners of the Jamaica Scholarships, of doctors, lawyers, clergymen, journalists and men and women in all the varied walks of life. And his work was appreciated by our foremost educationists. Time and again men like the late Archbishop Nuttall, the late Rev. Dr. Gillies and Colonel Gruchy, Archdeacon Simms, Mr. Thomas Capper, the late Mr. J. R. Williams, the late Director of Education, and the present Acting Director have given public testimony of the manful service rendered to the cause of the progress of education in this island by Mr. Walcott. And now he rests from his labours and his good works follow him. "Daily Gleaner", 1920 January 7, p.? From address of W. F. Bailey, retiring President, at the Conference of the Jamaica Union of Teachers, January 1920. What feelings, what recollections does the name of Alfred Lawrence Walcott not recall? One of those who gave counsel when the first proposal for a Union was made, he retained his connection with it from first to last, and not only filled the highest post of honour which teachers have to give - the presidential chair of the Union - but shared the confidence of the members to his death. His services to this island - how could they ever be estimated? What he has been to Jamaica - who would venture to put in words? Let the lives of the thousands who touched his life, and the many who had the opportunity of getting the inspiration which came from contact with him - let them speak. His monument has long been erected and may be found everywhere. Please click here and e-mail me your comments.